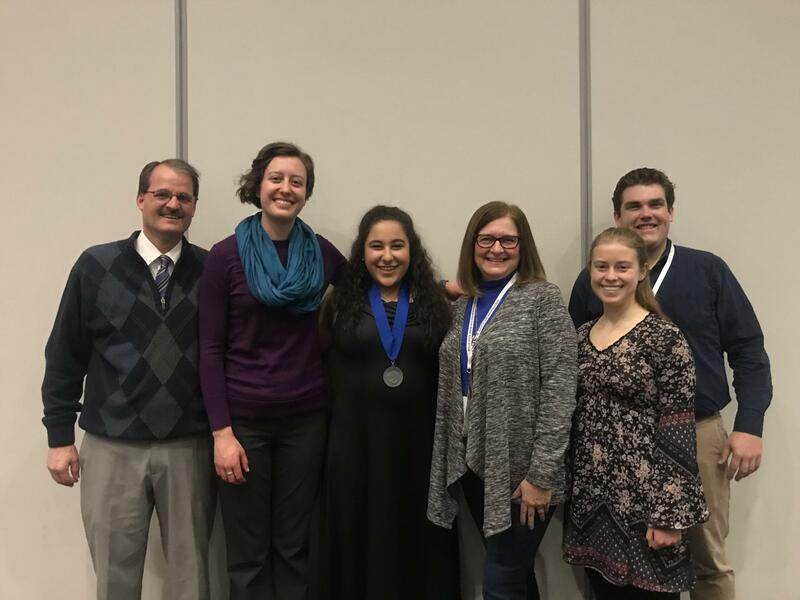 ROCKY RIVER, Ohio - Rocky River junior Nadine El-Dabh was recently selected to the Ohio Music Educators All-State Choir and performed at the OMEA Conference over the weekend at the Cleveland Convention Center. In order to be selected to participate in all-state choir, El-Dabh has to send in an audition recording in May of 2018. All recordings that were submitted were judged by a panel of experienced Ohio choral music educators. Students who are selected to the All-State choir rehearse independently for several months, including some regional large group rehearsals. They also have two full-day rehearsals the two days prior to the concert. This year's conductor was Dr. Kellori Dower, Dean of Arts & Letters in the San Bernardino Community College District. Pictured below with Nadine are her teachers: Mr. Kirk Taylor (RRHS Band), Ms. Allison Paetz (RRHS Choir), Nadine El-Dabh, Mrs. Mary Fancher (RRMS Choir), Ms. Madeline Yankell (RRHS Choir student teacher), Mr. Michael Komperda (RRMS/RRHS Band).